Website and staff web portal built from the ground up. Robust and responsive, solidifying the clients position in the industry as a market leader. GroutPro is based locally on the Gold Coast and they came to us with a few tasks in mind. We then began development on their new website which was to be modern and fully mobile responsive. Our working relationship with GroutPro continues to grow from strength to strength and we look forward to what we can provide for them in the future. Viewing pleasure on web browsers and smart phones. Designed with mobile viewers in mind. Almost half of the visitors to the site are using a mobile or tablet device. 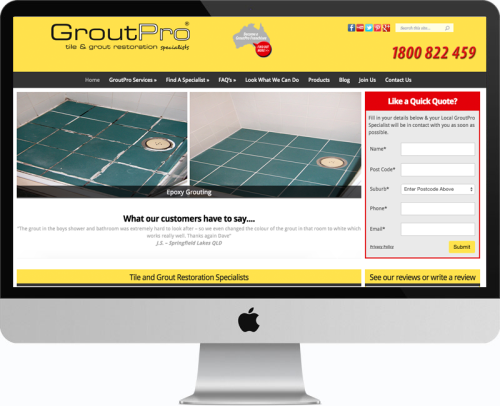 It was vitally important to ensure groutpro.com.au looked fantastic no matter what device you were using. Almost no stone left unturned on this heavy weight business website. A lot of business specific customisations and interactions developed alongside the client for maximum impact. Get in touch with us and let’s get your idea up and running. Clean and Green Eating App has been #1 in Australia for nearly a year! A perfect case of an idea well implemented. There are many recipes Apps in the market, but that didn’t stop the client from going ahead and have the best Recipe App in the market. 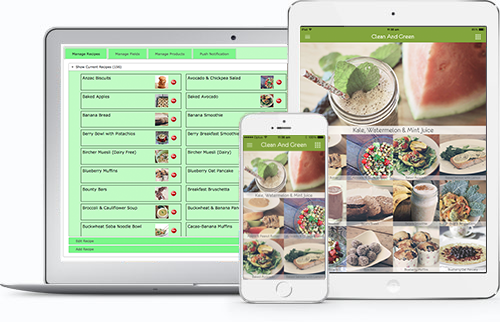 With High resolution Graphics and Memory efficient coding, Clean and Green Eating App runs on pretty much any iPhone, iPod or iPad, regardless of age and capacity. A very important feature if you are to conquer the world ! With the personalised web backend, the client can update the recipes, include new ingredients that will be used in a search within the app, change pictures and more all in real time and effective to ALL Apps purchased. 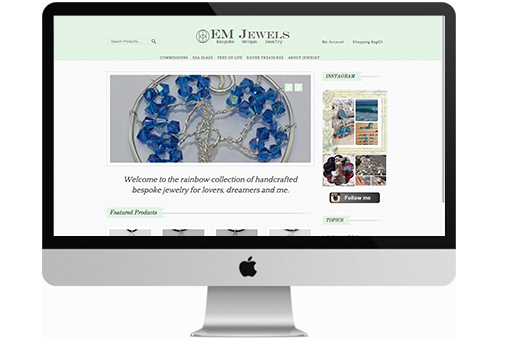 EMJewels was born from the creativity of a jewellery artisan with a passion for handcrafted, sustainable jewellery. This site taps into the creativity of the artisan who worked closely with us as we developed a site that was functional and inline with the business objectives. Full shop facilities and Social media display were a must. All the graphics were done in conduction with the client. The shopping cart facility is set and forget. All you need to do is shipping the product. The payment goes to your PayPal account or your Bank account. Your choice. Connect to your favorite Social Network and display your feeds within your website. Instagram, Facebook, Twitter, LinkedIN it is up to you. With an intuitive backend, updating your website is as easy as creating a Word Document. We also provide training from basic to advanced. 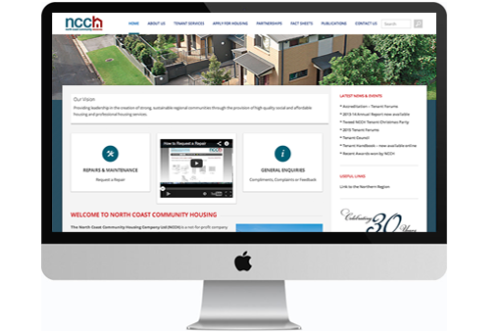 The North Coast Community Housing Company Ltd (NCCH) is a not-for-profit company managing long-term social and affordable housing for people with special needs and residents with low and moderate incomes in the far North Coast region of New South Wales in Australia. The Company is the largest Community Housing provider in this region. Calmon IT provided full Design and customisation for this stunning project. The transition from the old and outdated website was flawless. Calmon IT also provided training and when necessary maintenance. Responsive Layout - Mobile First! Modern, intuitive layout. Doesn’t matter what device you are using, NCCH website will adapt automatically and will display the best resolution. All the tools are provided, full access to the backend where all the updates and upgrades can be done. Calmon IT provides maintenance services should need arises.